A rendering of Apple’s new Austin campus. Apple announced a major expansion of its operations in Austin, Texas, on Dec. 13 including an investment of $1 billion to build a new campus in North Austin. The company also announced plans to establish new sites in Seattle, San Diego and Culver City, Calif., and expand in cities across the United States including Pittsburgh, New York and Boulder, Colo., over the next three years, with the potential for additional expansion elsewhere in the United States over time. The announcement caps a year of continued job creation. Apple added 6,000 jobs to its American workforce in 2018 and now employs 90,000 people in all 50 states. As announced in January, the company is on track to create 20,000 jobs in the United States by 2023. In 16 states, Apple employs more than 1,000 people. "Apple is proud to bring new investment, jobs and opportunity to cities across the United States and to significantly deepen our quarter-century partnership with the city and people of Austin," said Tim Cook, Apple CEO. "Talent, creativity and tomorrow's breakthrough ideas aren't limited by region or zip code and with this new expansion, we're redoubling our commitment to cultivating the high-tech sector and workforce nationwide." Apple's newest Austin campus will be located less than a mile from its existing facilities. 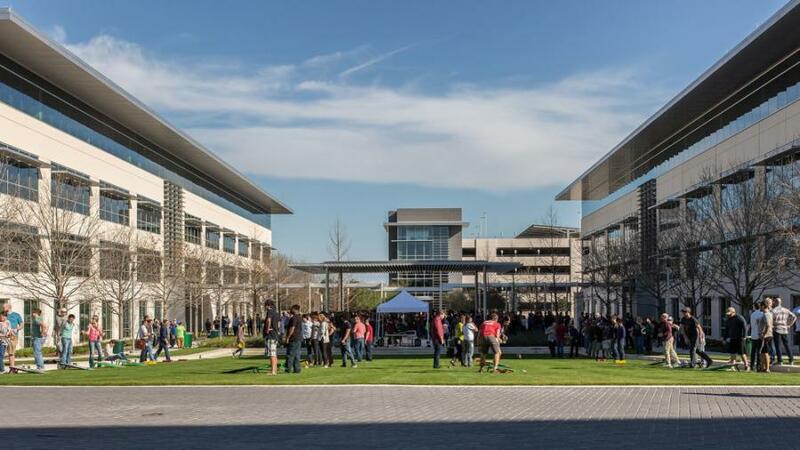 The 133-acre campus will initially accommodate 5,000 additional employees, with the capacity to grow to 15,000, and is expected to make Apple the largest private employer in Austin. "Apple is among the world's most innovative companies and an avid creator of jobs in Texas and across the country," said Texas Governor Greg Abbott. "Its decision to expand operations in our state is a testament to the high-quality workforce and unmatched economic environment that Texas offers. I thank Apple for this tremendous investment in Texas, and I look forward to building upon our strong partnership to create an even brighter future for the Lone Star State." "Apple has been a vital part of the Austin community for a quarter century, and we are thrilled that they are deepening their investment in our people and the city we love," said Austin Mayor Steve Adler. "Apple and Austin share a creative spark and a commitment to getting big things done. We share their commitment to diversity and inclusion. We're excited they are bringing more middle-skilled jobs to the area. And we're particularly gratified by their commitment to providing a great place to work for a large and growing number of America's veterans." "Apple is truly a part of our Texas family," said Rebecca Clemons, Williamson County director of administration. "Apple's vision on innovation, quality and simplicity align with the values here in Williamson County. We are both committed to continued job creation and outstanding quality of life. This new expansion is a perfect example of the astounding growth and opportunity that are possible when a company and a community work together." 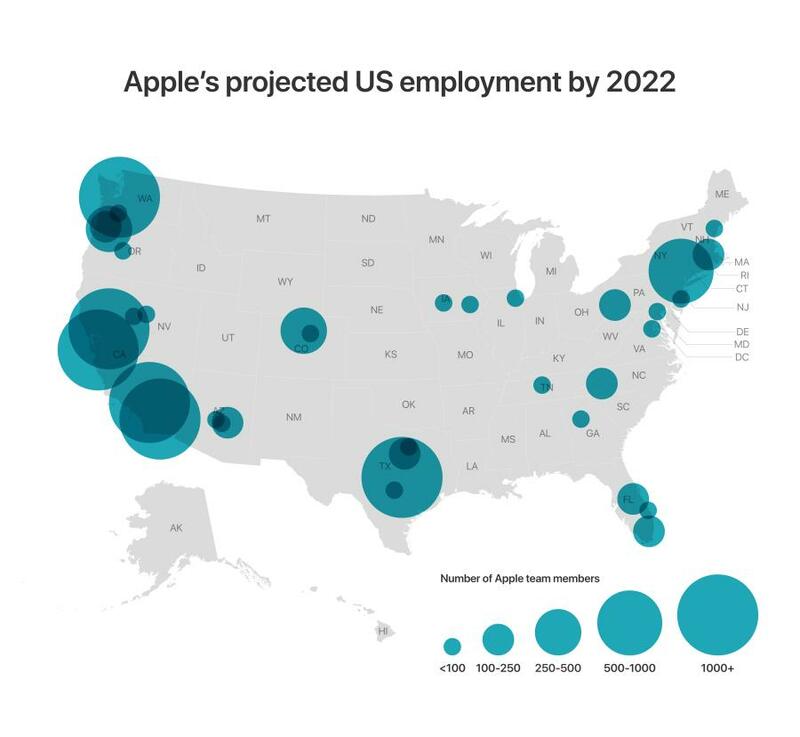 Apple plans to grow its employee base in regions across the United States over the next three years, expanding to more than 1,000 employees in Seattle, San Diego and Culver City each, and adding hundreds of new jobs in Pittsburgh, New York, Boulder, Boston and Portland, Oregon. The company recently opened its newest office in Nashville, Tenn., and Apple's Miami office is projected to double in size. Apple plans to invest $10 billion in U.S. data centers over the next five years, including $4.5 billion this year and next. 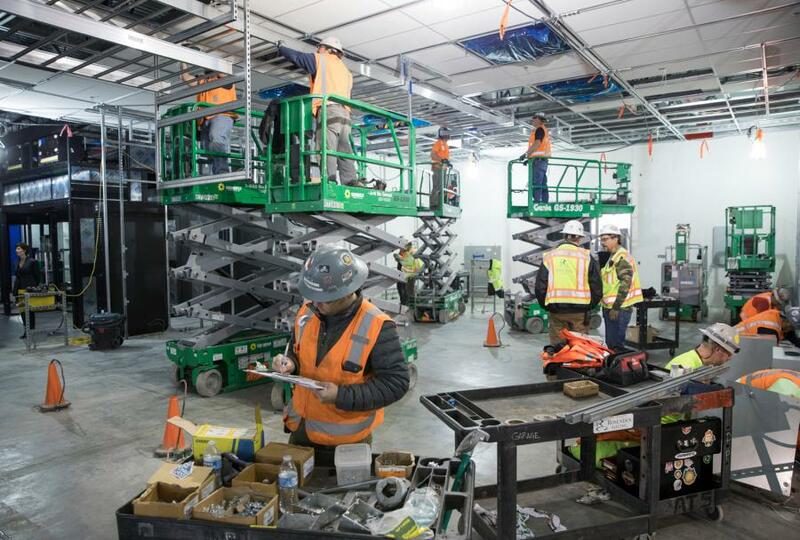 Apple's data centers in North Carolina, Arizona and Nevada are currently being expanded. In Iowa, preparations are under way for the company's newest data center in Waukee. All of the company's data centers are run on 100 percent renewable energy. Apple is already responsible for creating and supporting more than 2 million jobs in all 50 states, including workers at 9,000 suppliers and manufacturers in the United States. The booming App Store ecosystem is responsible for more than 1.5 million American jobs, bringing growth and opportunity from Atlanta to Anchorage, Alaska. Apple's job creation efforts span a wide range of roles — from advanced design, engineering and research, to the most innovative retail, operations and customer support functions in the world. Apple operates retail stores in 44 states plus the District of Columbia, and has added 7,000 U.S. retail jobs over the past five years. Apple plans to add more stores and reimagine the customer experience at many existing retail locations across the country.